Blockchains and related distributed ledger technologies are fast evolving technologies with huge potential to disrupt many sectors across business, government and society. The concept of a blockchain was first introduced as the technical backbone of the digital currency Bitcoin, but is fast evolving into mainstream applications far beyond its initial purpose. Today, blockchain technology is showing great potential to disrupt industries including finance, healthcare, supply chain management, legal, asset ownership, and many more. Want to learn more about blockchain technology? On this topic page you can find many relevant articles and case studies on subjects such as blockchains, crypto currencies, Bitcoin, Ethereum, other distributed ledger technologies and how these technologies are used in practice. 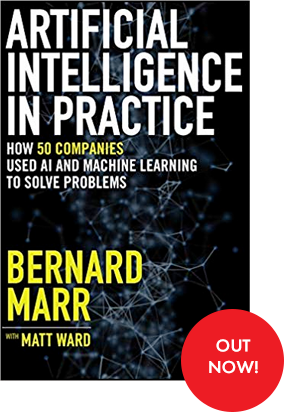 Bernard Marr has worked with many of the world’s leading businesses and government organisations helping them understand the potential of blockchain technology. Get in touch if you would like to explore consulting engagements or in-house training programmes on any of these topics.